Ensures optimum performance in color laser printers, color copiers and monochrome printers. Engineered for superior toner adherence and sharp image resolution. Smooth surface for high-quality prints and copies. Great for two-sided printing and copying. Ideal for external correspondence, reports, proposals and presentations. Acid-free for archival quality. This product was made from wood that came from a certified managed forest. 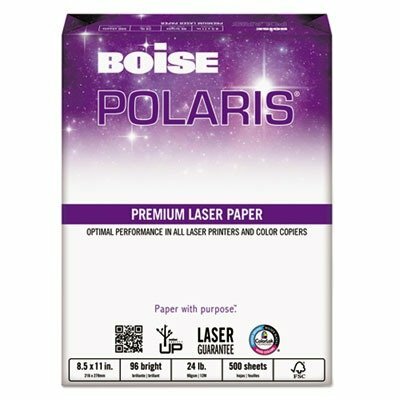 Size: 8 1/2 x 11 Paper Colors: White Paper Weight: 24 lb Sheets Per Unit: 500.